PATNA: In a bizarre incident, a middle-aged woman fell in love with her own son-in-law and married him in the eastern Indian state of Bihar. The most unusual wedding of the decade took place in Purnia district a couple of days back. 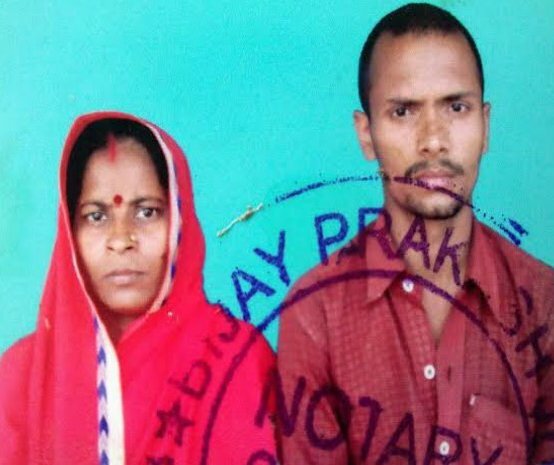 The woman identified as Asha Devi had married her daughter Lalita Devi with one Suraj Mahto, a resident of Puraini village in neighbouring Madhepura district, with much fanfare about two years back during which the couple had a male child. The twist in the story came when the woman reached her son-in-law’s home to see him after he fell sick. It was during this time that both fell in love. Their love relations got so intense that the man kept on meeting his mother-in-law in Purnia when she returned home after taking his care. Reports said the mater reached the local village court but it washed its hands off the entire controversy saying it has no objection to their wedding when they love each other. Eventually, they reached the local Purnia court in the weekend and filed an affidavit, seeking solemnization of their marriage which was allowed. Thus, came to end their months-long love affairs. The woman is now happily living with her new husband with whom she had initially married her daughter. Her daughter doesn’t know why her mother has destroyed her happy married life. Meanwhile, her father has brought back the daughter with him saying she will never be happy there.